Mala Beads, Bodhi Leaves, & Yogi Tea…just a few of my favorite things! Dec. 15 – Best Packaging – I received beautiful Mala Prayer Beads from my mother. The beads were absolutely stunning, and making the gift all the more special was the unique hand-made bodhi leaf card the beads were packaged in. From the website… “The Bodhi leaf in Nepalese culture is believed to bring Patience and Enlightenment. The cards have been designed so as you open it, the Bodhi leaf comes forward, bringing the Patience and Enlightenment to you.” Nice touch, huh? See it for yourself, here. Day 16 – Tea of the Year – I can’t just mention one! 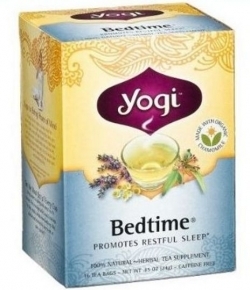 I have two favorites right now…Bedtime by Yogi, and Cranberry Pomegranate Green Tea by Lipton. I want to enjoy all of the benefits of Green Tea, but don’t appreciate the after taste of most green teas. However, this one by Lipton is delish and very affordable! And, there’s no better night cap and ritual for me than a hot cup of tea that gets me prepped for some good Zzzzs. You also can’t beat Yogi’s memorable affirmations with each tea bag. Tonight, mine says “Nature is a giver, a true friend and a sustainer.” Yes, indeed. Dec. 17 – Word or Phrase – For me, it would be this… “2009 is just the beginning!” We all go through moments, and some of those moments turn out to be years, where all of a sudden we hit a wall and need to make a shift, internally or otherwise. Something just has to give. Know what I mean? 2009 was the year that “gave” and allowed me and others close to me to make that needed shift. The stage has been set for a new beginning. It’s kind of nice feeling this way, especially as we close one year and begin a new one. So, here you have it, more about me and my 2009. What would you like to share? « #best2009 – Breathe. Play. Dance.